Nutcracker Sweets – 1.5 lbs. 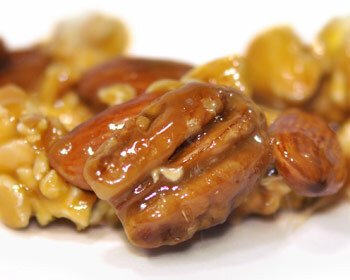 Freshly-popped corn, whole almonds & mammoth pecans in our classic homemade copper-kettle caramel. 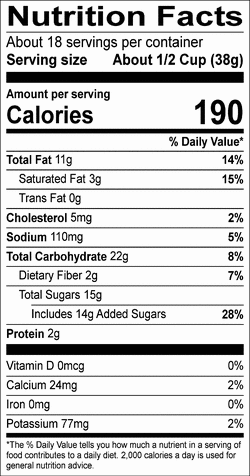 INGREDIENTS: sugar, almonds, pecans, corn syrup solids, butter (cream, salt), popcorn, coconut oil with beta-carotene for color, salt. CONTAINS ALMOND, MILK, PECAN. PRODUCED IN A SHARED SURFACE FACILITY THAT PROCESSES: PEANUT, TREE NUTS, MILK, SOY, EGG AND WHEAT.